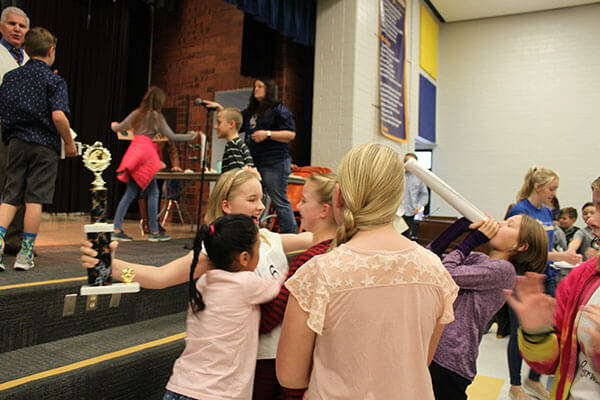 This past week, Westridge fourth, fifth and sixth graders headed to their auditorium for the annual Geography Bee. 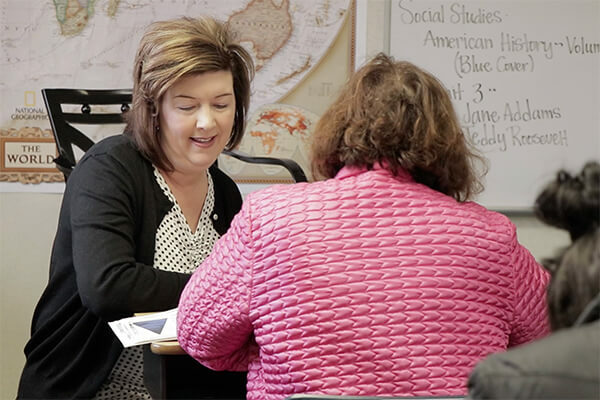 The annual bee is put together by the National Geographic GEOBEE to promote the learning of geography and culture in students. 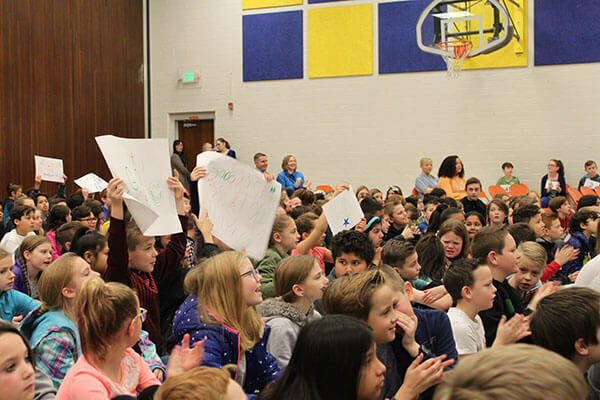 As the students gather in the auditorium, they bring homemade signs to cheer on their classmates. 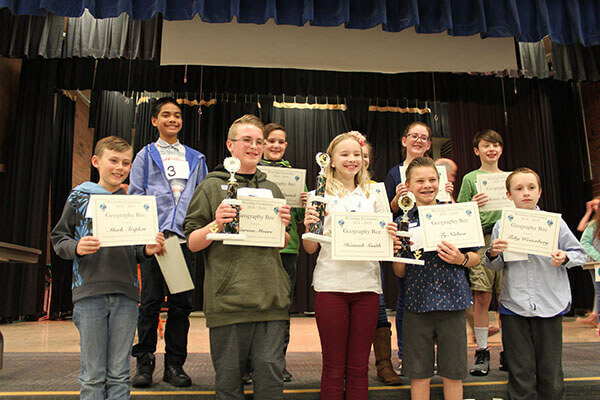 The process begins with a small Geography Bee in every individual classroom, with the winners of every class moving on to the school-wide Geography Bee. 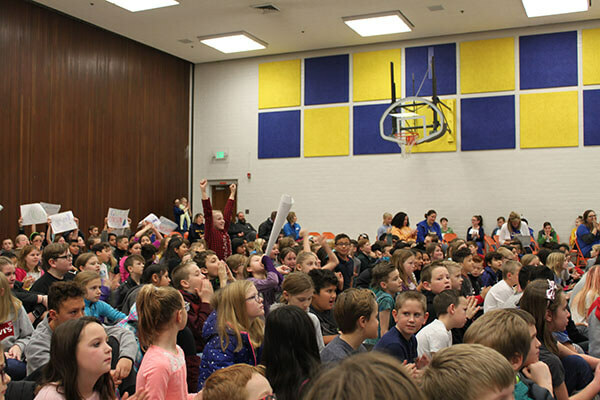 Then, the first-place winner of the school-wide competition receives a certificate and trophy, along with the opportunity to take the district test to qualify for the District Geography Bee. 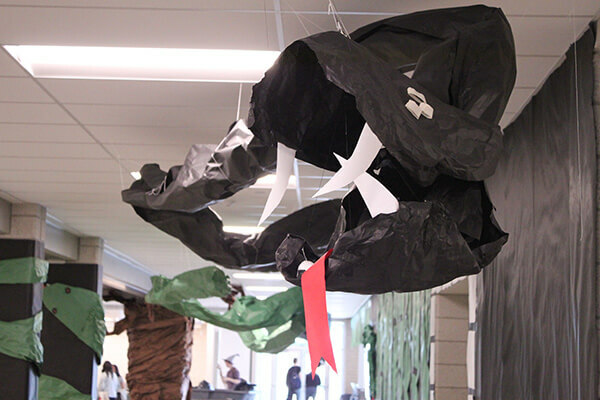 The contestants this year were: Maxwell Patrick, Hutch Fale, Carson Moore, Lauren Johnson, Mark Triplett, Ty Nielsen, Aaron Sorensen, Toby Westerberg, Natalie Verdoorn and Hannah Smith. 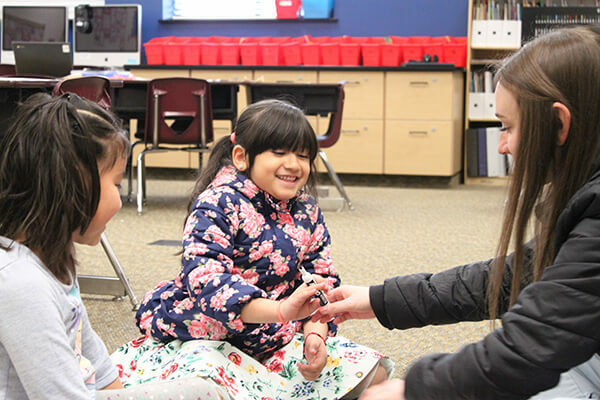 “What is the Norwegian term for a long narrow sea inlet carved by steep cliffs?” Hannah Smith answered “fjord”, making her the first-place winner and moving her up to the district competition. In second place came Carson Moore and Ty Nielsen with third. 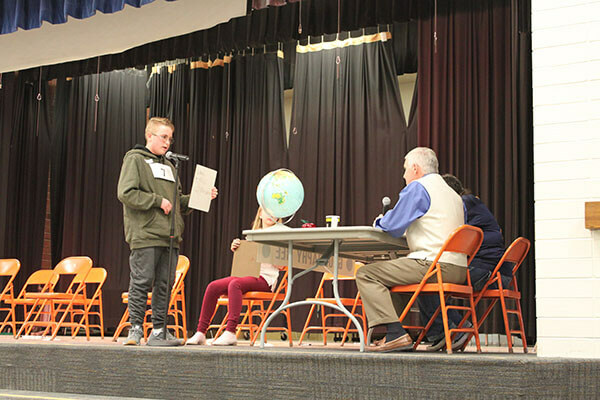 John Jackman has been in charge of the Geography Bee since he began teaching at Westridge 39 years ago. 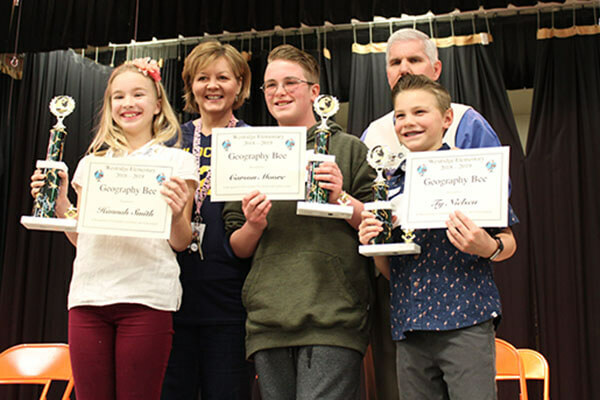 The Geography Bee inspires a further knowledge of and curiosity in the world for the fourth, fifth, and sixth graders.